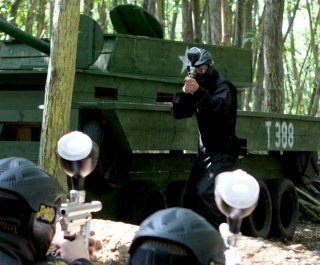 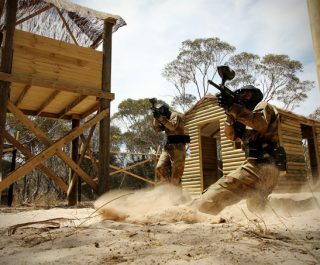 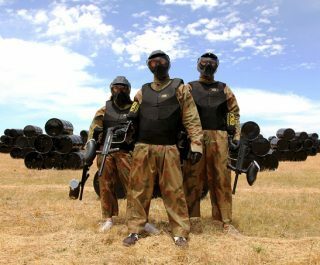 The Delta Force Kegworth paintball centre serves the needs of anyone looking to play paintball in Nottingham, paintballing in Mansfield or in fact anywhere in the East Midlands and Derbyshire. 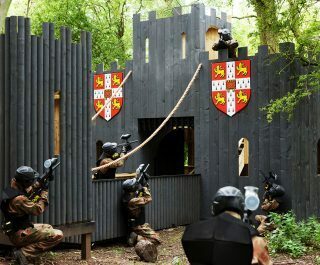 Located exactly at Junction 24 of the M1 in Kegworth, this centre has its own private access just metres from the motorway junction. 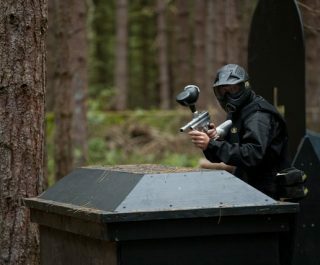 Become immersed in seven massive game scenarios, each one uniquely themed and all situated in a secluded woodland setting. 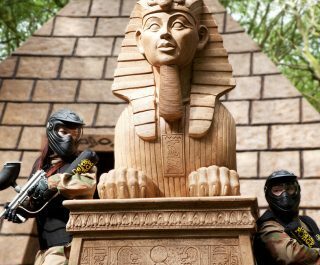 Your paintballing experience will be nothing but action-packed, with the Tomb Raider paintball game zone featuring a large pyramid and mummy statues for cover. 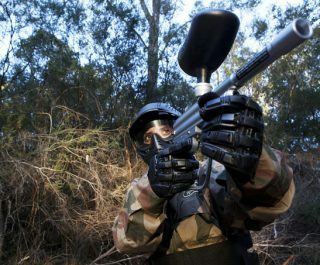 For the more adventurous players, the brook behind the Vietcong Village can be strategically used to sneak up on the opposition. 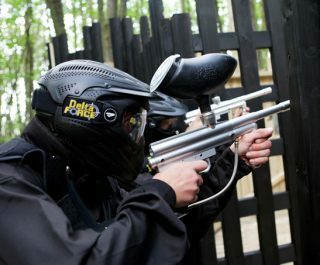 Please note – for anyone seeking to play paintball in Nottingham, paintballing in Mansfield or paintballing near Loughborough, the Kegworth centre is your most conveniently located paintball centre – no tiny country roads to crawl along – it’s just 2 junctions down the M1 and you’re at the leading paintball centre in the East Midlands!